Lincoln Park is the newest phase of the award-winning Wellington Neighborhood in Breckenridge, Colorado. The Wellington is a special place that is totally unique in a resort town – a real neighborhood with real full-time residents and a real sense of community and place. The neighborhood’s location in the historic French Gulch offers the convenience of being one mile from Main St. Breckenridge and the luxury of being surrounded by 1,840 acres of open space – rich in history, habitat, and recreational activities. Literally out your back door are some of the best mountain bike trails in Colorado. 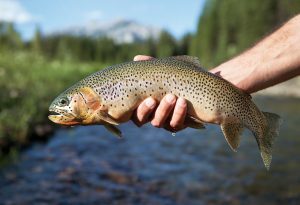 Just up the valley, genetically pure cutthroat trout flourish. Steeped in history, the Wellington evokes a sense of nostalgia and connection to the past. 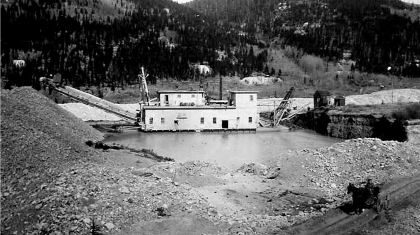 In the late 1800’s, miners began to settle in the French Gulch and over the next century the area brought incredible riches to its fortunate prospectors. 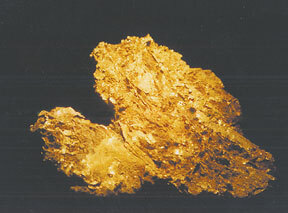 The largest nugget ever found in Colorado — Tom’s Baby — came out of French Gulch and now is on display in the Denver Museum of Nature and Science. All this mineral abundance precipitated the Ten Years War, a conflict over gold ownership that sprayed smoke and bullets all over the gulch in the finest Western tradition. Today, Breckenridge is an unpretentious town with a vibrant community committed to promoting cultural and recreational activities that bring people together. The new Breckenridge Arts District attracts unique and approachable art, music and exhibitions. There is always something going on! Check Breckcreate.org. There are endless winter activities from world class skiing at the Breckenridge Ski Resort to Nordic, skate skiing and snowshoeing at the Breckenridge Nordic Center. Enjoy enchanting forest and epic mountain views. Warm up with a hot cocoa in the cozy lodge with large fireplace. If outdoor sports aren’t for you the Breckenridge Recreation Center has an indoor track, tennis and racquet ball court, fitness/wellness classes, rock climbing wall and indoor swimming pool with slide. About 95% of the Wellington Neighborhood is home to full-time Breckenridge residents – the same fun-loving, adventurous people at the heart of what gives Breckenridge its small town charm. Lincoln Park takes the traditional qualities of the Wellington Neighborhood: architectural patterns drawn from early Breckenridge – narrow streets, community greens, and plentiful connections – and combines these with leading edge technology to support sustainable, modern living.